Directed and written by Jordan Peele. Produced by Jason Blum, Edward H. Hamm Jr., Sean McKittrick, and Jordan Peele. Release date: February 24, 2017. A few years down the line, we're probably still going to be talking about Get Out. For the horror genre - and for widely distributed movies in general - it's something that we rarely, if ever, get to see. I can't think of a film that feels like Get Out. "Feels" is the right operative word, by the way; there are movies that Get Out borrows from and resembles, but it takes a very different approach to the proceedings. The reason for this is that the person behind the movie is Jordan Peele, who has a unique, outside-the-norm, perspective. 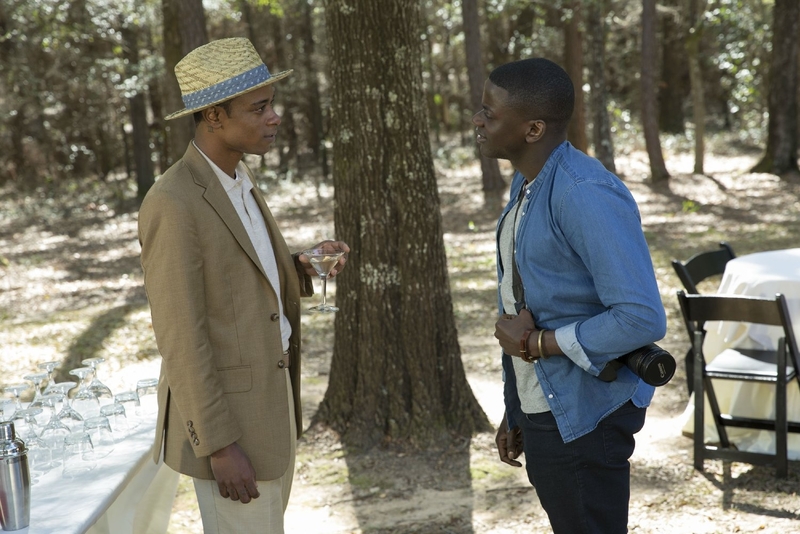 Get Out follows a photographer, Chris (Daniel Kaluuya), who is dating Rose (Allison Williams). In case you've seen nothing about this movie before now and can't tell from their names, this is a mixed-race relationship. Chris is black; Rose is white. They're going to spend the weekend with Rose's parents, who don't know Chris is black, but Rose thinks that shouldn't be an issue. After all, they're not racist; they would've voted for Obama in for a third term if that was allowed. Upon arriving, Chris can tell pretty soon that something just isn't quite right. There isn't anything overt about it, but things just feel "off" to him. Certain lines of dialogue are strange, any other black characters don't act like, well, like human beings, and for some reason Chris's phone keeps being unplugged from its charger. 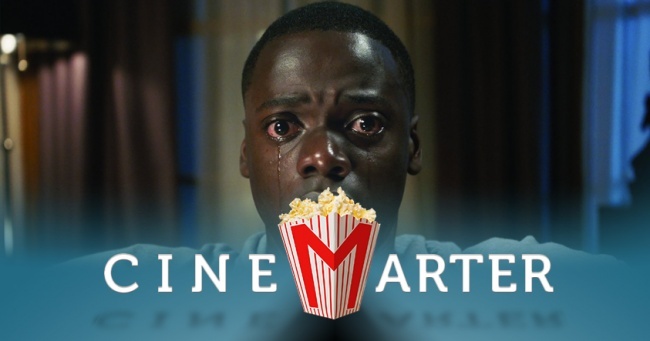 It soon becomes apparent that the film is going to create much of its tension, atmosphere, and horror from little, everyday issues regarding race. You know the people who try too hard to prove they're, "like, totally not a racist"? The ones who will list a ton of black athletes and artists they love in an attempt to prove it? Those who will go out of their way to point out positives in someone of a different ethnicity - and intentionally ignore any flaws? That's what we've got here ... to a point. 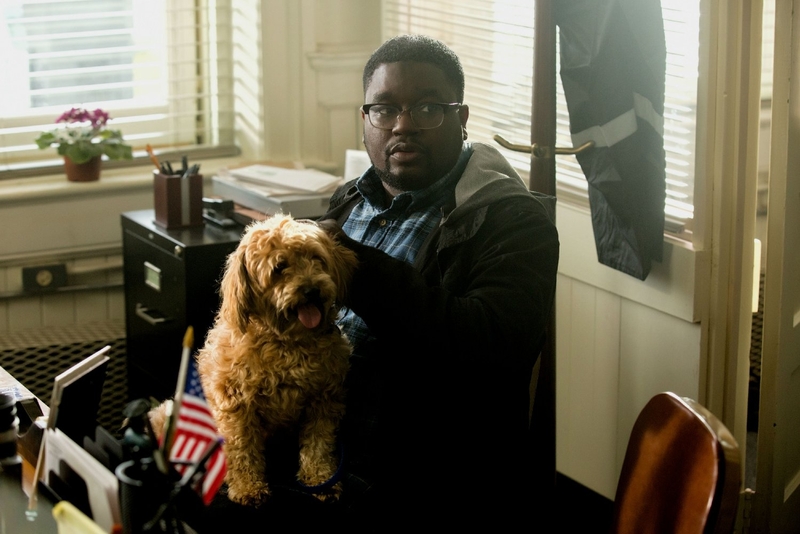 Get Out spends a great deal of its time focusing on the "black" experience - where so much is made of Chris's race even without directly referencing it. He's treated as "the black guy" and not as "Chris" by most of the white characters in the movie. It's unnerving because it's relatable - regardless of your race, you'll notice situations that occur every day in the real world. But movies are primarily made for a white audience, so filtering it through the eyes of a black man showcases just how uncomfortable it can all be - and is something on which the movies generally avoid focusing. 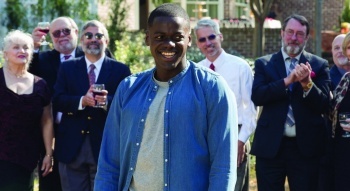 Get Out showcases Jordan Peele's unique voice and is one of the best horror films in recent memory. Like I said earlier, this is a new perspective and something I can't remember being showcased like this before - especially not in a horror movie. There have been racist characters before, no doubt, but it's usually way more overtly so - the type that the (white) audience members can point and decry and feel good about themselves. What's featured in Get Out is smaller, everyday racism. The type in which even "progressives" partake. And, boy, does it work. Peele, who wrote and directed, sets the mood exceptionally quick and builds from there. It works so well that you almost wind up forgetting that it's also setting itself up to go much more down the horror movie hole than it initially appears. It's the more traditional horror aspects that I don't think work quite as well. Maybe it's because the final segment of Get Out feels rushed, or perhaps it's just because the rest of it is so strong that a more conventional finale seems like a bit of a letdown. It isn't bad by any stretch, and there are a few interesting discussion points that stem from the direction the film takes - no spoilers here, though - but let's just say that, if you think you've got it figured out from the trailer, you're probably only about half right. Jordan Peele has worked almost exclusively in comedy up to this point in his career, but he transitions seamlessly to horror with his debut feature, Get Out, which showcases his unique voice and is one of the best horror films in recent memory. It's also something that's almost unseen in the genre - and, quite frankly, rare for films in general. It works by letting its audience experience the various situations in the movie - many of which are filled with small, but not insignificant, moments of racism - through the eyes of a black protagonist. We get to walk in his shoes, so to speak, and that's not a perspective that often comes through. The film is tense, atmospheric, and thrilling. It flies by, it's well-acted, and it can be discussed for days. What a movie. Bottom Line: Get Out is a fantastic horror movie. Recommendation: Even those who don't like horror movies, or are so progressive that they think they don't need this sort of experience, should really see Get Out.